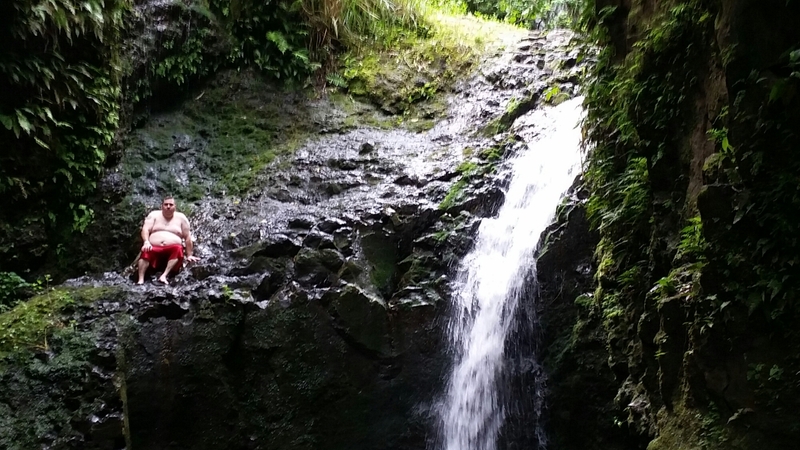 Our adventure for the day was at Maunawili Falls located in Kailua. 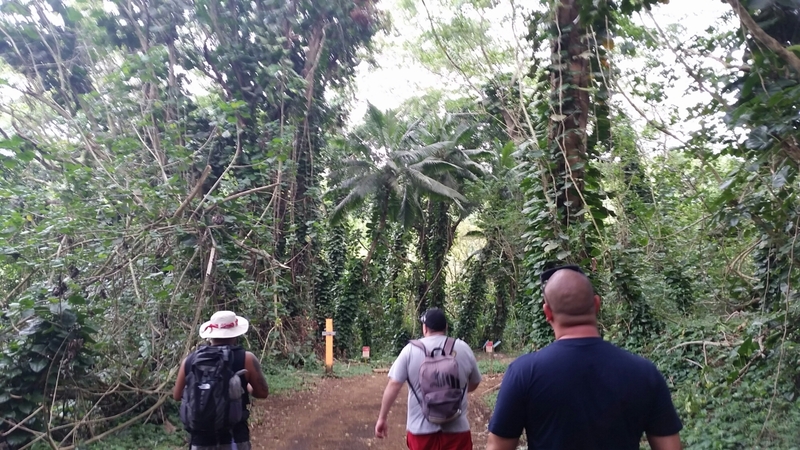 One of the best experiences I had while in Hawaii was hiking into the mountains and seeing the lush and beautiful greenery around. It’s something you just don’t get to experience in southern California. 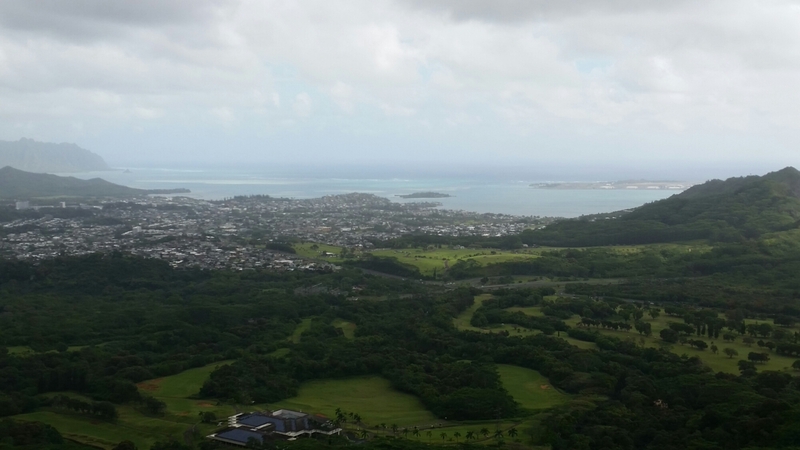 On the way to Maunawili we made a quick stop at the Pali lookout. Gorgeous but windy! After arriving, we found out we were pretty lucky that day because it wasn’t too muddy on the trail. 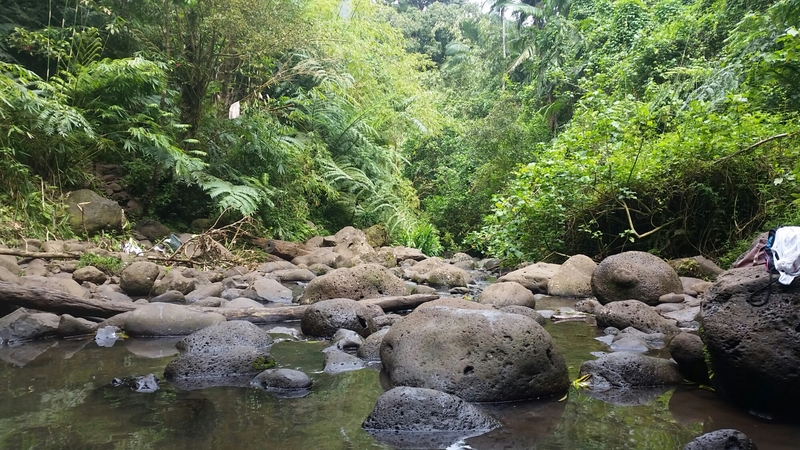 This hike is known to have really muddy terrain all throughout the hike, but either way you should definitely be wearing shoes you can throw away. If it’s not the mud that ruins your shoes, then it will be the water from the streams you’ll be crossing. During the hike I just couldn’t believe how beautiful the environment was around me. I kept stopping to appreciate my view. I fell behind a few times, but it was well worth it! Arriving at the falls at the end of the hike was a great reward. There were a few streams of people coming and going, but it never felt too crowded. One other great thing about this hike was that you could get into the water. I’ve over heard that you can’t do that at some of the state run parks and waterfalls. 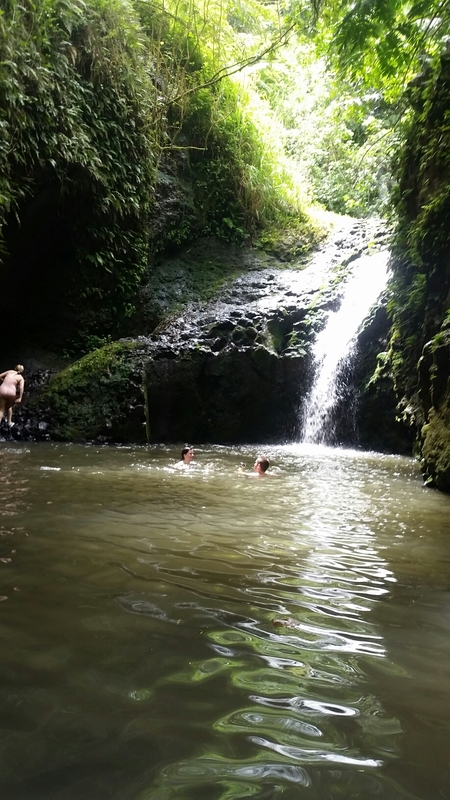 I was still too chicken to do a dive into the water at Maunawili Falls, but I did at least swim into it. There were some very courageous people diving from the very top, and the height was probably about two stories high. Suffice to say that I thought they were crazy. Not a crowded day at Maunawili. I would recommend going to Maunawili Falls to just about anyone. The only exception would be families with small kids who aren’t used to hiking and people who aren’t physically capable enough to do an intermediate type of hike. It’s about only a mile or so, and it was well shaded throughout the entire trail. No sunscreen needed, but definitely bug spray! Keep in mind there are also a few streams you’ll have to cross and certain sections of the trail become quite vertical. All in all, a very nice hike that only took a few hours of our morning. That’s it for today’s adventures….see you in the next post! !